Mets dropped the ball letting Neil Walker go. 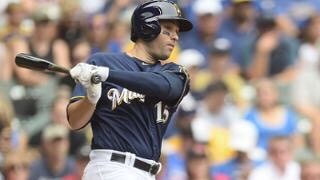 The Mets let go of Second Baseman Neil Walker earlier this season, and with the fact that Walker could very well have filled a gaping hole or two in the Mets’ infield (Third base, Second) this was a huge mistake by the Mets that could very well haunt their infield hopes for a season or more. Walker has displayed some offensive power, along with solid defensive abilities. It makes no sense to re sign guys like Asdrubal Cabrera and Jose Reyes, who aren’t as young and productive, I’m also talking who can and can’t stay at a position and hold it down in the long run. The Mets need to be defensively settled for a few years and I felt Walker WAS that guy. He could have made a smooth transition to third, which would have solidified that area. The Mets are cheap, and getting younger is something that requires patience and time. However, bringing back Reyes and Cabrera spell out a need for youth. They are not players who we can see three more years of and then only to retire and create another opening to fill. Walker was by no means Daniel Murphy, but his defense and occasional offensive heroics were pleasant to watch. Walker in my opinion was as underrated as they come.